Michigan’s Medical Marijuana market is off to a hot start, racking in over $42 million in revenue in just its first 4 months of business. Dispensaries officially opened for business on November 1, 2018, and the demand for Medical Cannabis is clearly evident. 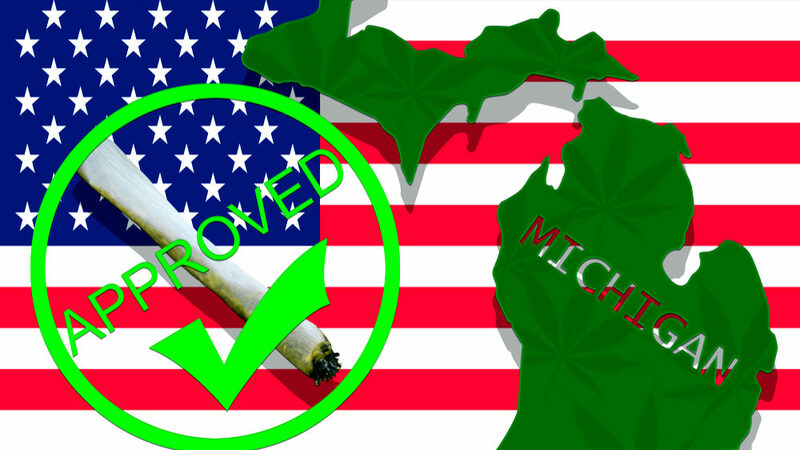 According to the state Department of Licensing and Regulation Michigan pulled in $7.1 million in Cannabis sales during the first month alone. Sales ballooned to $11.9 million in January 2019 before leveling off in February for a total of $11.2 million. The small decline in sales is likely due to the extremely cold weather, as well as February, being a shorter month. Nevertheless, Michigan was able to rack up total sales of exactly $42,061,557 in their first 4 months of legal operations. To give our readers some context as to what $42 million in sales actually equates to, a total of 8,670 pounds of Cannabis was sold at an average cost of $213.91 per ounce. Breaking down the numbers further, with a 6% sales tax on all Cannabis sales, the state of Michigan was able to collect $2.3 million in tax dollars. Add that to the $1.2 million collected from the additional 3% excise tax and Michigan was able to earn a grand total of $3.5 million in new tax dollars that it can use to it give it’s economy a much-needed boost. Other states should take notes on Michigan’s early success. According to LARA spokesman David Harns, Michigan has over 294,000 Medical Marijuana cardholders making Michigan the second largest medical market in the United States. Considering Michigan only has 54 licensed dispensaries with many of them only being open for a handful of months it makes this statistic is even more impressive. The Michigan Medical Marijuana industry is clearly thriving but it is expected to get a massive boost next year once adult use sales come into play. 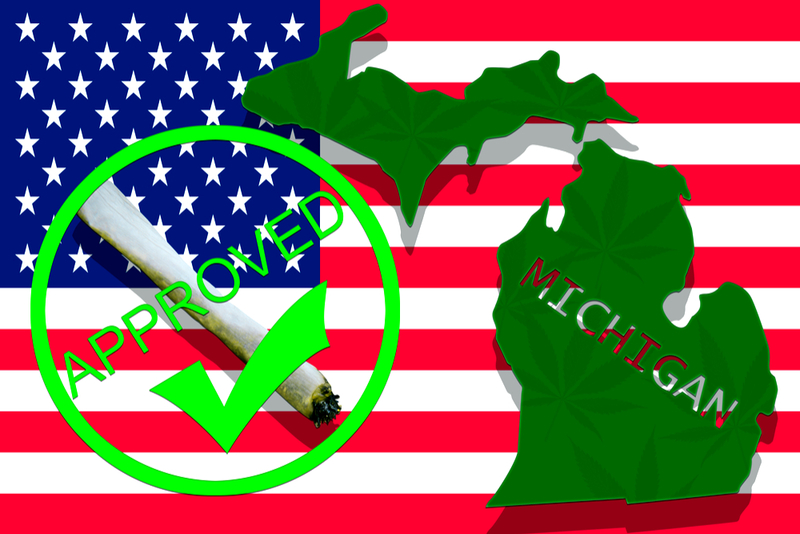 Michigan voters approved adult use Marijuana during this past November’s election. The adult use market is expected to boost the states’ Cannabis sales to over $1 billion once it goes into full effect next year. It’s no secret that the Michigan economy has suffered over the past decade or so and a major influx of new tax dollars could be just what the doctor ordered to help the state rebuild its cities that have fallen victim to a struggling economy. It is important to note that the aforementioned 3% excise tax will no longer be in effect moving forward. When voters approved adult use sales in November they also approved the elimination of the excise tax 90 days after adult use cannabis was legalized. The states’ 6% sales tax will remain in effect for both medical and adult-use sales and the implementation of a 10% excise tax on adult use sales will go into effect once sales begin sometime in early 2020. 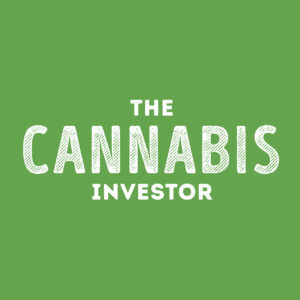 With all the buzz surrounding Michigan’s burgeoning Cannabis market the obvious question is how can investors get involved and which stocks can they invest in to gain exposure to this new market? We’ve been tracking the industry closely and believe the next major player to emerge from Michigan will be a company called Red White & Bloom. RWB is the operating name of MichiCann Medical. MichiCann recently made headlines when it was announced that the company struck a deal with Tidal Royalty (CSE: RLTY.U) to create the next U.S. Multi-State Operator. MichiCann has an experienced management team with a proven track record in the Cannabis industry that includes its CEO, Brad Rogers. You should recognize that name immediately as Brad is an industry pioneer. You could go as far as to say Brad is one of the few Godfathers of the Cannabis industry, right up there with the likes of Canopy Growth CEO Bruce Linton. In 2014 Brad Rogers was part of the team that built one of the first ever commercially scaled Medical Cannabis production facilities in the world. His company was called Mettrum Health Corp. and it was successfully sold in 2016 to Canopy Growth for over $450 million. 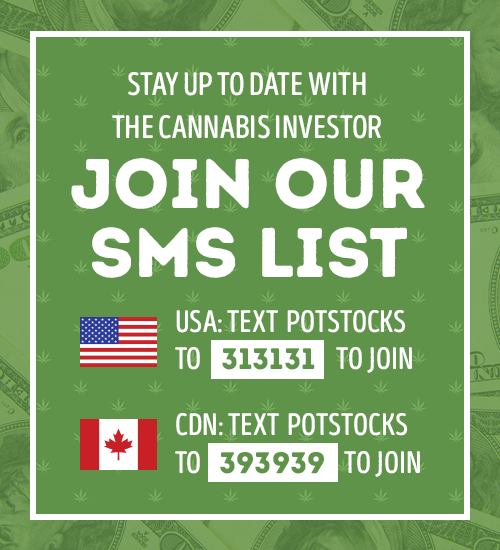 Most recently Brad was the President of CannTrust Holdings (TSX: TRST) (NYSE: CTST) where he was instrumental in leading CannTrust into early proﬁtability. He was also the driving force behind its capital raises and IPO that peaked at a $1.5 billion market cap. You can read more about Brad Rogers and his long line of credentials here. The proposed merger between Tidal Royalty and MichiCann was announced on February 15, 2019, and Tidal Royalty’s stock has been halted since. The stock will remain halted until the new combined entity has their deal approved by The Canadian Securities Exchange (CSE). You can view full details on the proposed merger here. To follow up the merger news, it was announced on February 25 that Tidal Royalty completed a $15 million advance to MichiCann. The release states that it anticipates MichiCann will use the funds advanced by Tidal Royalty, solely to fund the acquisition of additional Cannabis dispensaries in Michigan, and for general working capital purposes. It is expected that once the Tidal Royalty/MichiCann Medical merger is completed the new entity will change its name to Red White & Bloom. It is anticipated that Red White & Bloom will begin trading in the near future under the ticker symbol RWB on the CSE. Investors who are interested in staying up to date on news from Red White & Bloom are encouraged to sign up with their email on the RWB website. Stay tuned for future updates and further analysis on Red White & Bloom (CSE: RWB) including the company’s IPO date. Until then best of luck to you all and happy trading.